Waking up early in the morning by the incessant chirping is a huge part of our childhood nostalgia but it may not be so for our next generation of children. 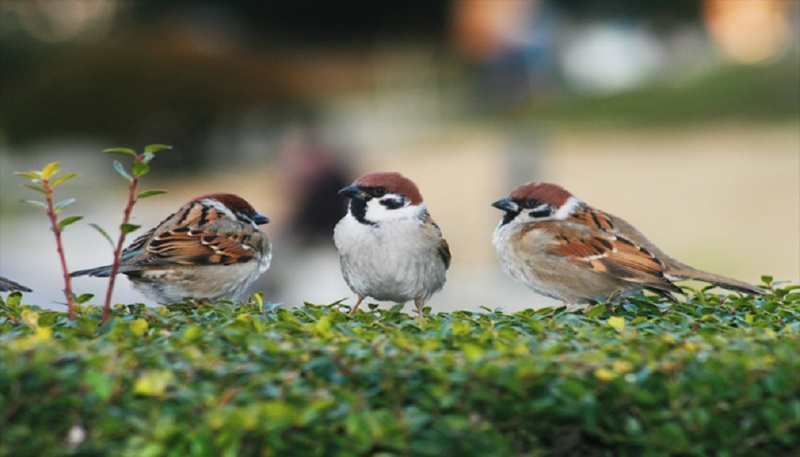 The house sparrow, one of India’s urban as well as rural population’s most associated species of bird is, unfortunately, on a decline and a little village in Lakhimpur, Assam, Borbali Samua, has taken the first step towards the conservation of our feathered friends, reports Scroll.in. Leading the mission is 47-year-old Jayanta Neog. Owner of a rice mill and the principal conservator of the sparrow in the village, Neog felt strongly about the disappearance of the bird and figured it was lack of shelter that was causing it. House sparrows who have lived in close harmony with human beings built nests in the close comforts of the traditional Indian houses but changing times has brought in change in types of houses leaving the birds un-sheltered. “People are now starting to build concrete houses instead of the traditional mud houses,” said Neog, who has been working for conserving the sparrows, since 2013. Hence, Neog came up with a quick and simple solution of building the birds makeshift nests. To make artificial bird houses, Neog made use of cardboard, wood, shoeboxes and bamboos. Prabal Saikia, the chief scientist at the Regional Agricultural Research Station, Assam Agricultural University at North Lakhimpur, is someone who has conducted extensive survey on the birds. His finding showed the fast decline of the bird which he stated to have been disheartening as per the report. Saikia attributed the decline of the species to such change in construction as well as disappearance of courtyards that earlier designed houses had among other reasons like destruction of their natural habitat as well lack of insect for the fledglings. The scientist came up with a solution – to built low-cost nest boxes out of cardboard and believed there was a way to boost the house sparrows’ population if the idea was popularized in the village. The idea, soon, found many takers in the entire village. “Nest boxes are very easy to make and cost almost nothing. In our survey in several districts of Upper and Lower Assam, we have noticed substantial occupancy of the house sparrow in the low-cost nest boxes,” noted Saikia. Saikia has distributed over 20,000 boxes free of cost in the village. “The cardboard nests given to us by Dr Saikia have been distributed in every household. We put up quite a number of boxes and we gradually saw an increase in the population of the sparrow. People who visit us also take away those boxes. They are quite in demand,” mentioned Neog in the report. Nest-boxes for the little chirpy birds soon caught up in the entire village and today, for the inhabitants of Borbali Samua, having nest boxes in the house and their feathered friend have his family inside the safe chamber is more than simply the sparrows. They become part of their family as well. “You’ll see these birds everywhere. They like to be around people. You eventually become involved in the life of these birds. You put up a nest for them, see them gathering twigs to build their nests, see them have young ones. A little bit of love goes a long way,” Neog said in the report.